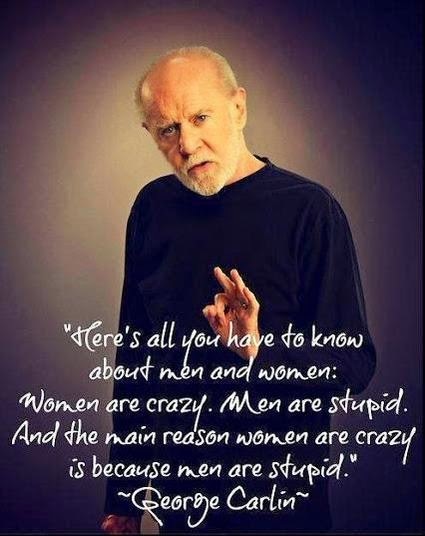 Funny George Carlin Women Crazy Men Stupid Quote Joke Picture - Here's all you need to know about men and women: Women are crazy. Men are stupid. And the main reason women are crazy is because men are stupid.